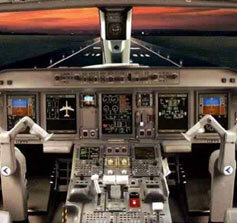 Aircraft Avionics Systems and Avionics Classes - DO-178B - KVA Engineering, Inc. Provides the fundamentals for developing and assessing software to the standard RTCA/DO-178B Software Considerations in Airborne Systems and Equipment Certification. Provides insight into the FAA's software review process and the FAA's software policy. Includes practical keys for successful software development and certification, common pitfalls of software development, and software challenges facing the aviation community. Designed for Project Managers. Systems engineers, software developers, avionics engineers, systems integrators, aircraft designers, and others involved in development or implementation of safety-critical software. The focus is on civil aviation, certification, and use of RTCA/DO-178B; however, the concepts may be applicable for other safety domains, such as military, medical, nuclear, and automotive.